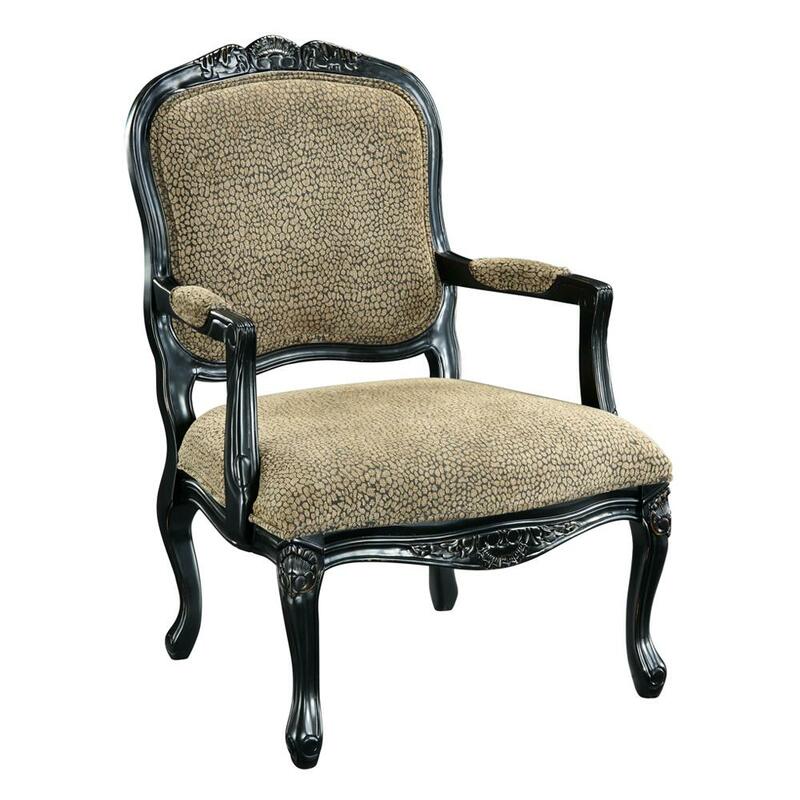 The traditional Bannister Black finished frame of this chair has a wild side. Upholstered in a fun Reptile Print fabric, this chair combines modern with a traditional shape and hand carved elements. These elements combine to create an accent chair with lots of personality. The Coast to Coast Accents Accent Chair by Coast to Coast Imports at Lapeer Furniture & Mattress Center in the Flint, Michigan area. Product availability may vary. Contact us for the most current availability on this product. The Coast to Coast Accents collection is a great option if you are looking for furniture in the Flint, Michigan area. Browse other items in the Coast to Coast Accents collection from Lapeer Furniture & Mattress Center in the Flint, Michigan area.